After 'Vienna' became a hit in 1981, I became a big fan of the band. This was helped along a bit by the fact that my parents took me on holiday to Vienna for five years between 1980 and 1984. I was impressed with the city, but even more impressed by the views of Ultravox's music video I saw in real life. And then there was the majestic album of the same name, which my sister bought. 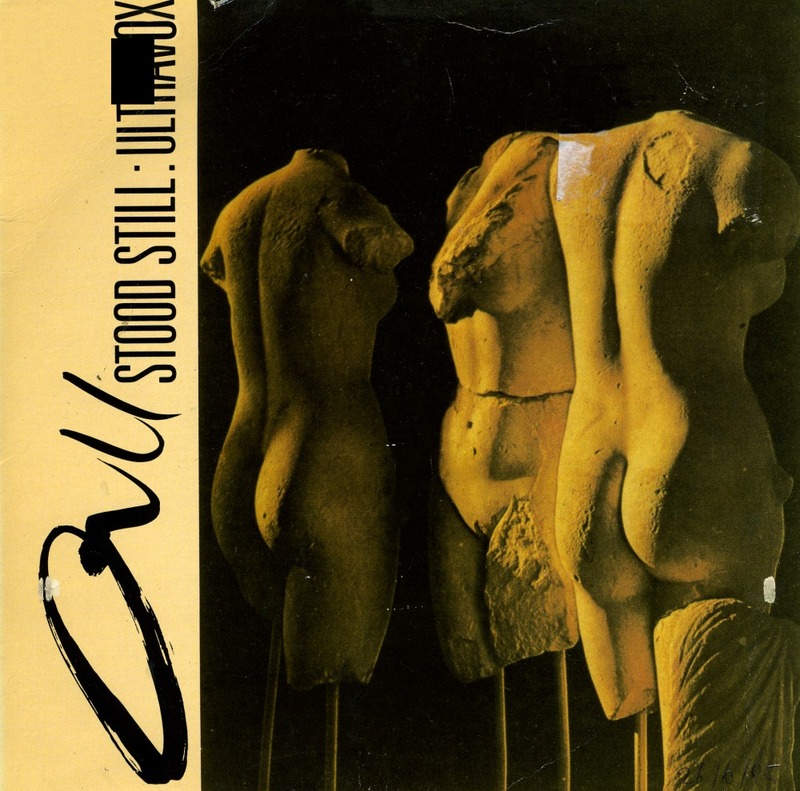 This is how I knew that the next single, 'All stood still' was almost just as good. Unfortunately, that one was never a hit. I finally bought the single in 1995. I don't know why I waited so long, I do know I wanted to have it years earlier. But as always, back in 1981 I didn't have the money and in later years I never saw the single. So it was good to finally get hold of it in a second hand shop in London. Ultravox became famous in 1980 when their single 'Vienna' became a Europe-wide hit. The Conny Plank-produced album of the same name became a classic album as well, and the band continued to churn out wonderful hits all through the Eighties. This 'Old gold' single brings together two of their biggest hits: 'Vienna' and 'The voice'. The band has reformed two years ago, did two very successful tours in 2009 and 2010 and this year they are planning to release a whole new album. There is a God. 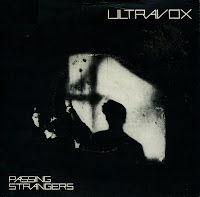 'Passing strangers' was released in October 1980 as the second single from Ultravox's milestone album 'Vienna'. The song is a fast-paced affair, with all the signature sounds of the band around that time. The single wasn't a big hit, stalling at number 57 in the UK singles chart. The B-side 'Face to face' was recorded live in St. Albans on August 16, 1980 and was never recorded in studio by the band. Released in September 1986, 'Same old story' was the first single from Ultravox's final album in the classic line-up with Midge Ure, 'U-vox'. The band moved away from their previous synth-based pop songs and showcased a more rock-oriented sound on this single. The single wasn't a big hit for the band, peaking at number 31 in the UK singles chart. This limited edition version of the single is a nice item: the outer pvc sleeve has stripes on it, with which you can make the inner sleeve 'invisible', i.e. just a green square and no letters. 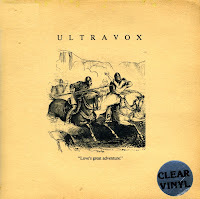 'Love's great adventure' was recorded as a new track for Ultravox's 1984 compilation album 'The Collection' and released as a single to promote the album. Released in October 1984 it peaked at number 12 in the UK singles chart and number 30 in the Dutch Top 40. The style of this single is different from any of their preceding singles from the album 'Lament', aiming for a more lightweight, pop-oriented approach. The music video features the band members in a humorous parody of Indiana Jones, with Midge Ure being chased across deserts and forests by a ruthless treasure hunter. 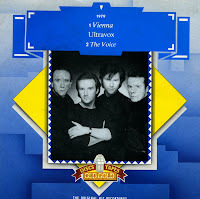 Midge Ure stated in his autobiography 'If I was' that the aim of the single and its video was to promote Ultravox as having a sense of humour, away from the seriousness of their previous releases. 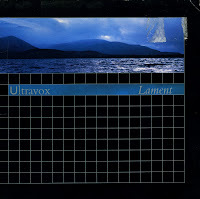 Ultravox's 1984 album 'Lament' saw the band continuing to move away from the synth pop style associated with their previous albums, heading into a more mainstream pop/rock direction, alike their comtemporaries Echo and the Bunnymen, Simple Minds and U2. The album featured greater use of guitar and 'stadium' reverb. However, the title track was a melancholy ballad, accompanied by a music video featuring the band on a remote Scottish island. The single peaked at number 22 in the UK singles chart. This single was released, like many previous singles, on clear vinyl, housed in a gatefold sleeve. 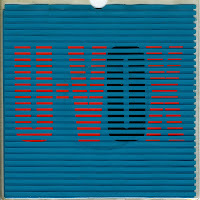 The first single from Ultravox's 1984 album 'Lament' was an unusual track in their catalogue, because for the first time in a long time, the band omitted the use of synthesizers in favour of a more guitar-driven rock song. As such, I always considered it to be one of the band's worst singles. 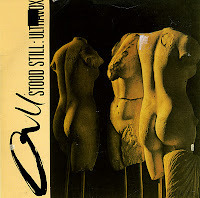 The single still made number 27 in the UK singles chart and number 16 in Ireland. But in Europe, the single did not chart. I finally bought the single in 1999, simply because of the fact that I have most of the band's singles - and this one was pressed on clear vinyl. The instrumental B-side is an intriguing piece, anyway. 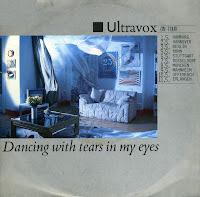 More than anything else, I've always considered 'Dancing with tears in my eyes' a soundtrack to the music video Ultravox made in 1984. I can't imagine the music without that video anymore. I thought bringing down the enormous theme of a nuclear holocaust to the story of one man and woman was incredibly moving. 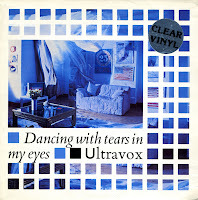 'Dancing with tears in my eyes' was the second single from 'Lament', Ultravox's seventh studio album, released in 1984. 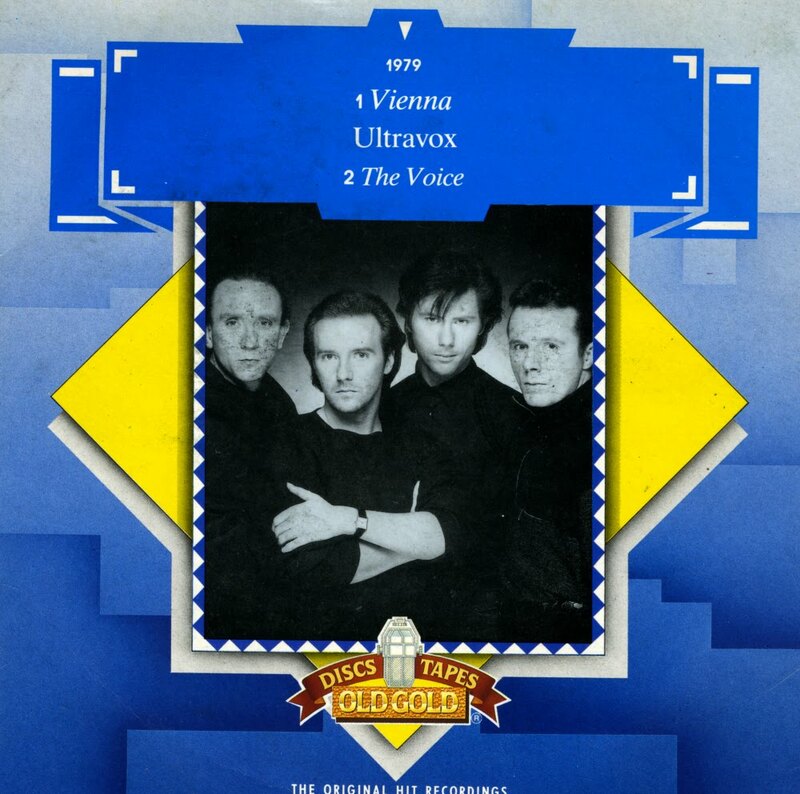 The single effectively put Ultravox back on the map, peaking at number 3 in the UK single charts, and reaching the top 10 in many European countries. In the Netherlands, it peaked at number 6. I bought the single as soon as it came out. It was the German pressing with tour dates on the front cover (pictured above). A few years later I found a UK limited edition of the single with a booklet sleeve, pressed on clear vinyl (pictured below). 'The thin wall' was released as the first single from Ultravox's 1981 album 'Rage in Eden'. Like the album, the single was produced by Conny Plank. 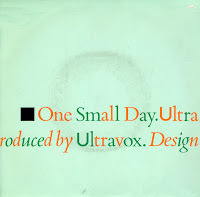 Its stark synthesizer-based music was similar to Ultravox's previous singles from the album 'Vienna'. The band was rewarded with a reasonably good chart placing, peaking at number 14 in the UK singles chart. I bought the single twice: the regular version on black vinyl in 1995, and a few years later the limited edition pressing on clear vinyl. 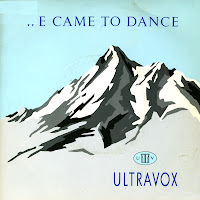 'We came to dance' was the last single taken from Ultravox's sixth album Quartet. It was produced by George Martin and released on April 18, 1983. The song reached number 18 in the UK singles chart, while it didn't chart in the Netherlands. With its demented synthesizer melody and its emotionally charged vocals, it's a bit weird that the lyrics are slightly naff. 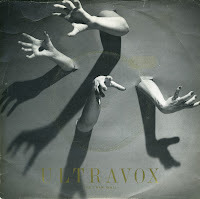 Still, I loved the track as a child and seized the opportunity a decade later to buy this single, pressed, like many more Ultravox singles, on clear vinyl. 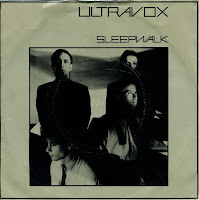 'Sleepwalk' was the first single drawn from Ultravox's classic album 'Vienna' (1980). The song was primarily used to achieve a record contract with Chrysalis in 1980 after the band were sacked from their previous label, Island records. Compared to previous singles with John Foxx as their frontman, it was moderately successful in the UK singles chart, peaking at number 29. The single's B-side, 'Waiting' is an intriguing instrumental track. 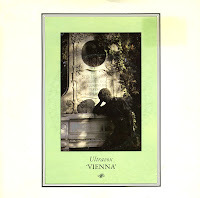 It was recently released on cd as part of a special disc celebrating the classic album that is 'Vienna'. In 1981, I thought Ultravox was the best band in the world. In some ways, I still think that. But back then, I was totally enchanted by the song 'Vienna' and its interesting video. I'd been to Vienna on holiday with my parents the year before and I was always trying to figure out where they had filmed the scenes. One part of it was easy: the cemetary in Vienna is famous for its buildings and beautiful graves - one of which is featured on the sleeve of the single. I would come to visit that grave, too, because we went back to Vienna that summer. But the other scenes I couldn't identify. I have recently found out that Ultravox filmed those scenes in England. A great disappointment... Vienna is the title track of the equally great album, a landmark in pop history. I bought the single twice: once in 1981 and once in 1998. The latter was a clear vinyl version, released in the UK.